After converting 101 maps to the Jaguar, I figured it was time to post all my notes for posterity and as a backup. Also, if anyone else is interested in pursuing this extremely addictive activity, the majority of work will be done. The 'try and learn as you go' bs is taken out of the equation with this info. And mind you, that approach has cost vast amounts of time throughout the process. I'm pretty much a Jedi at this now and have broken the process down into a series of steps that help with efficiency to get those levels done in the least amount of time with the closest matching textures and least amount of lag so they play fluidly, given the Jaguar's weaknesses of writing many objects in a single area-which is commonplace for most of the maps found in the wild. While this type of extra decorative detail might be pretty on the pc, it's just not feasible on the limited console so ideas listed by importance are included to aid in whittling down the un-necessities to increase usability. Click Doom 2 at upper left and repeat the process. Click OK again to exit the Game Configurations dialog box. Enable auto drag when pasting: Tools-Preferences-Editing (tab)-Options-check "Drag selection automatically on paste"
Install Notepad++ and click View-Word wrap. Right click on a .txt file and choose Properties. Open DOOM DATA\slumped_07/SLumpEd.exe to ensure it works. For reference on the following, can open lesson pdf #7 (page 7). Open MAPCOMP folder and run whichever vc_redist.exe is appropriate (.x86 or .x64) then copy the 0 folder to C drive. 1 Hold down the Windows key on your keyboard and press the letter C to open the Charm menu, then click the gear icon (Settings). 2 Click Change PC Settings. 5 After restarting, click Troubleshoot. 7 Click Windows Startup Settings. 9 After restarting your computer a second time, choose Disable driver signature enforcement from the list by typing the number 7 on your keyboard. Your computer will restart automatically. 10 After restarting, you will be able to install the drivers normally; however, Windows will display a warning message. When the warning appears, click Install this driver software anyway. Probably the most used text doc in this process. I've probably hacked upwards of 1000 or 2000 times using the quick reference info at the end. Tweaking and changing and tweaking again... this is the fastest info to get it done until the Jag version is absolutely PERFECT. From "06 The big hack" & "07 The big hack continued"
Transfer the info for the 10 items listed under the map name into the Excel sheet under Size-Dec.
Click each tab, check the end to make sure it ends in 4 bytes. If not, add 0s. Add the padding amount to whichever items needed them in the Excel sheet under Size-Padding. In 010 Editor, quick save the padded tabs and close them. Click Append and exit F.A.S.T. Copy over a new/clean JAGDOOM.WAD file. Find the address that corresponds with THINGS (16999C) and change it, if necessary, to match what's in the Excel sheet under Start Address-Hex. Change them to match the bottom entry in the Excel sheet. In columns A & B, change the size in Hex for each of the 10 items to match the Excel sheet under Size-Hex. Quick save and close the JAGDOOM.WAD tab in 010 Editor. Open the original DOOM.rom (or .jag, .J64, etc.) for the Jaguar. Navigate to and click on the modified 'JAGDOOM.WAD' file made earlier. Close the tab and exit 010 Editor. -Special Tag 666 to exit a level after killing all monsters ONLY works on E1M8! If testing as level 1 the function won't work but after filling a map's data with a level 8 through all 8 maps, it worked on map 8 like it's supposed to. Should be flawless on a big hack if it's set up for map 8 but might test to save time in the long run. -Map has to be named one of the original names apparently within Doom Builder 2. Like E1M1 to E1M9. The likes of E1M12 will cause it not to play in Test Mode! WTF?? VERY IMPORTANT: Once Doom Builder and all programs are set up (and before use), use Acronis True Image (or other comparable software) to create an image at this point. Later, if a certain level/map continuously fails to load in the big hack, restore the computer to a time BEFORE ever doing any big hack. I don't know what goes wrong but this is the only way I've found to 'reset' the computer with an ability to proceed. Once restored, the big hack should continue uninterrupted. -Check F_SKY1 and make sure it's not used as a floor-Won't work! -Check F_SKY1 and make sure it's not used over the Exit-Won't work! 100 W1 Stairs Raise by 16 (fast) change to: 8 & check height! 125 W1 Teleport (monsters only). Has to be W2 for either. 127 S1 Stairs Raise by 16 (fast) change to: 7 & check height! -Add weapons repository (168 x 96 w/out door) hidden at beginning & make sure they're set for all difficulties. Make sure the door is at floor height too! In the early days making a 2 directional teleport was difficult for me. So much to remember when I was too new to retain a lot of it so I made this quick ref. It helped a lot and I hope it can be of use. Jag can't do "W1 Teleport" or (assuming) "W1 Teleport (monsters only)". Has to be W2 for either. Need to test! Teleport destination icon CANNOT face diagonally if on top of an elevated floor/box, etc. in some instances! thats a list of all the jagdoom stuff that works. ones... goggles being an example. "There are 30 bytes per level name, but only 20 will fit on screen comfortably I tried with 1-0 A-Z"
To skip the redundancy, I've 'spoiler'ed the info from the original thread. -To create lights (raised) from Floor or Ceiling (5:45), in Visual Mode, hover the cursor over the sector that was made in Drawing Mode before entering this mode, and if from Floor, roll the mouse wheel, say, 8 units up. Or, from the Ceiling, roll the sector down about 8 units. Click the top of the floor texture then right click it to open the Edit Sector box. Click the Floor texture box and in BASE, click, say, FLAT22 and click OK. To raise the brightness of the sector to accomodate the lighting, change the brightness to 255. Can change the Ceiling texture while here if needed using BASE and CEL1_2. Click OK twice to back out. NOTE: To create a Visual Mode start point, in Vertices Mode hover the cursor where you want to start and push ctrl+W. This will insert a dull white marker to be a start point when you press W while on the grid mode to enter Visual Mode. (or go to Mode-Visual Mode) Can right click this icon in Things Mode to see that it's located in Editor Things-Visual Mode Camera. Use E,S,D,F to move around in Visual Mode. (draw all 3 sectors then change any directionals in the center. click outside entrance line. make sure Double Sided and Upper Unpegged are ticked or go into Visual Mode, hover over the upper part of the entrance, right click and make sure Double Sided and Upper Unpegged are ticked. Click Sidedefs tab and Front Side-Upper. Set a texture n click OK. Click short sides & right click. Tick Impassable only and hit Sidedefs tab. On Front Side-Middle choose a texture and click OK. Press C to clear the selection. -Make sure both long lines of the door sector are facing outward, click them both and right click. Tick Double Sided only and the Action button. Choose an option and click OK. Hit the Sidedefs tab and on Front Side-Upper choose a door texture and click OK. Press C to clear the selection and enter Sectors Mode then right click inside the sector. Set Ceiling Height to 0 & hit OK. Enter Lindefs Mode, click both short sides of the door sector then right click. Tick Impassable and Lower Unpegged then hit the Sidedefs tab. On Front Side-Middle choose the DOORTRAK and hit OK. Press C to clear the selection. In Linedefs Mode click both short sides to select them then right click to open their Properties. Make sure only Impassable is checked then click the Sidedefs tab. On Front Side click Middle and set a texture. Click OK to back out and press C to clear the selection. -In a 'clean' area of the grid draw the door sector. Make sure the center lines on the long sides are facing outward so the player can access the door from both sides. (If they're not facing correctly, enter Linedefs Mode, click either/both and press the F key to flip their direction.) Enter Make Sectors Mode and click inside the sector. In Linedefs Mode click the long sides and right click to open their Properties. Make sure only Double Sided is checked. Click the Action button, expand Door and choose an option. Click the Sidedefs tab and on Front Side click Upper. Add a texture and click OK to back out. Enter Sectors Mode, right click inside the sector and change the Ceiling Height to 0. Can also change the Floor & Ceiling textures if needed. Press OK to back out and press C to clear any selections. -For the opposite entrance it's easiest to copy the first one we made so open Sectors Mode and right click in the middle of the entrance. Press ctrl+C and hover the cursor over a clean area of the grid. Press ctrl+V to paste it. The sector will be floating so click somewhere to set it & press C to clear the selection. Enter Lindedefs Mode and change the tiny center lines to both face the opposite direction of the first entrance. Enter Sectors Mode, hold the Shift key, right click hold the center of the sector and drag it to the door sector to attach it. Still in Sector Mode, click inside both of these to select them. Again, hold the Shift key, right click hold an area of the sectors and drag them to the first entrance to attach them. Test the map. -Door in a single sector: Make sure both long lines of the door sector are facing outward. If the door is in the middle of a single, say 16x128 sector (door is 16x64) with a sector on each side (2x 16x32 'pieces'), make sure both short sides are facing inward. Click both long lines and right click. Tick Double Sided only and the Action button. Choose an option and click OK. Hit the Sidedefs tab and on Front Side-Upper choose a door texture and click OK. Press C to clear the selection and enter Sectors Mode then right click inside the sector. Set Ceiling Height to 0 & hit OK. Right click inside the other two sectors adjacent to it and raise their Floor to the Ceiling Height. Click OK. Enter Lindefs Mode, click both short sides of the door sector then right click. Tick Impassable and Lower Unpegged then hit the Sidedefs tab. On Front Side-Middle choose the DOORTRAK and hit OK. Press C to clear the selection. MAKE SURE lines on door aren't individually set with Actions. If they are, undo do them as this will ONLY work on the Jaguar if the sector is selected in Sector Mode with the Action given there! Press the Play button to test the map. -NEED: cfg hack to get the resolution down to 160x200 with double width pixel just like the jag. Fraps: Save to external or different HD than the one Fraps is installed on. Doesn't perform well otherwise. Create a sector within and existing sector by drawing a line across in Drawing Mode then go to Mode-Make Sectors Mode and click inside the 'new' sector. It'll flash and the new sector will be made. Can also 'fix' a broken sector (as long as it has at least 3 lines connected to form a closed shape) by clicking inside it in Make Sectors Mode. Also made a cool lighting effect using a candlestick in one corner and a pillar in the middle w/ shading behind it. -Crusher: NOTE: Can be triggered by a walk-over line or switch. Draw (ctrl+D) the sector to be used to do the crushing. Optional: Enter Visual Mode (W) and raise the floor under the crusher slightly then add a texture around it and/or give the top of the floor a different texture. Press W to return to the grid view. In Linedefs Mode (L) right click the trigger line on the boundary of the crusher to open its Properties. Click the Action button, click Crusher to expand it and choose one of the options. (I'm using the 1st one for this example-W1 Crusher Start with Fast Damage) Click OK to return to the Properties box. Click the New Tag button to assign it a # (remember the #) and click OK to back out. Press S to enter Sector Mode & right click the crusher sector. Give it the same tag from before and click OK. Test the map. Drawing custom rooms: Draw the outline and make a sector out of it if it didn't by default. If you can't see the walls or ceiling it could be dropped all the way to the floor (@ 0) so set a height before nixing the whole operation! Open Mode-Map Analysis regularly to find conflicts. Also, quicksave after every successful run in Map Analysis. In tight sections with walls from other sectors very close on both sides (do leave at least 16 map pixels between), don't be fooled by their walls not being visible and appearing the walls have randomly disappeared, which can happen a lot. In Visual Mode, actually go into the suspect sectors and look around to see if the walls are still in place. While drawing a new sector after deleting the boundaries of an old sector, be careful not to stop drawing when connecting to an existing door or other thing. You CAN stop drawing to use the existing thing, which works most of the time but in the instances, mainly in tight quarters, where it occurs, it's best to keep drawing right over the existing line and complete the sector so it doesn't auto create a sector out of the whole area bc of stopping early. If it does create a sector out of the entire area, can re-open the current map and only have to revert back to the last quicksave mentioned at the beginning. USE VERTICES MODE to right click hold and drag points to meet with where they're supposed to go. Can also drag to center points on the grid for 16 wide doors. This is especially useful when Map Analysis tells you a sector isn't closed. Also, enter Sector Mode and hover around to try and find an offending section. Sometimes overwriting existing lines to complete a sector will leave the originals intact underneath causing endless and frustrating errors. If having trouble with a door going up and still have the texture showing but can walk through it, check the Sidedefs tab for an extra and remove it. 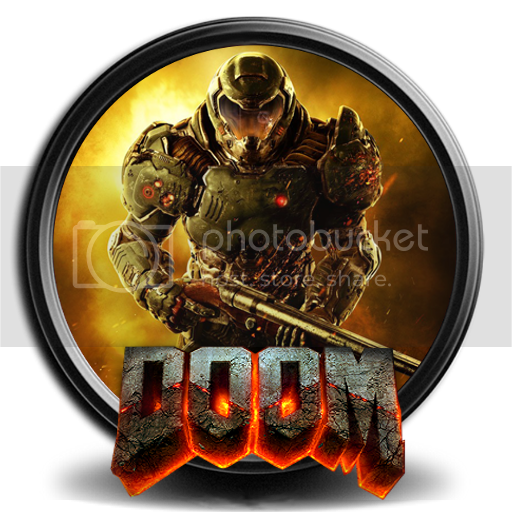 -When loading a map use the "Doom" engine selection for closest compatibility! -To make a 3 tier door work, set the height of the floor to the ceiling on the outside pieces instead of the ceiling height to the floor!!! The latter DOES NOT WORK for some reason. Also make sure your tiny middle lines are all facing inward EXCEPT ON THE DOOR THAT MOVES UP AND DOWN. Face those out but it's tiny ones need to face in too. -Walkover line triggers. The tiny line in the middle of the trigger line doesn't matter which way it's facing. Sometimes the direction effects whatever but not in this case, in my experience so far on my 2nd map 2_00_8_7. -When building a rom with 1 huge map or 2 levels (large), the level 3 data will become corrupt causing the 1st demo screen to fail so that can't be used as a determining factor of whether the rom is good or bad until a 3rd+ level is added that the engine can load for the demo screen. -Need a level 6 map intact for the 2nd demo screen to load/run properly too. -It doesn't matter which map (E1M1, E1M2, etc.) you're using in Doom Builder 2, it's just a level and should work at whichever map it's spliced into in the Jaguar rom. Nothing is 'hardcoded' into the map by DB2 that identifies where it should go, causing anything to fail. Forget stairs. Seems they'll eventually randomly crash regardless. Have had several with all special 'anythings' removed and while they work at first, playing through some levels and trying them in a later level inevitably leads to them crashing. Randomly, not always but screw that. Door textures that resemble a 'roll up door' when opened are bc Upper Unpegged is ticked. Un-tick it to fix the problem. If PT crashes when you open a door, check the overall draw distance to ensure it's short enough to allow the map to run. If an error in PT says 'setup level (3,2)' this means it failed loading level 3 and the map is still probably good. For Walk Over Line triggers, draw the trigger line on the floor first but don't let it touch the edges (creating another sector.) Draw it partially, set its function and tag # then create the effect (wall drop/raise, etc.) Test it and when satisfied connect the Vertices on the line ends to wherever and quick save one last time. Also, MAKE SURE TO CONNECT THE VERTICES as the line will cause an error in PT! Lots of problems copying and pasting if the sector copied has ANYTHING involving special functions or height or sidedefs, etc. F that, just copy and paste the Vertices and redraw or redraw by hand. For "unclosed sector" in Map Analysis error, in Sectors Mode hover around & find the offending line(s), click it/them and delete. DON'T waste time try to 'chase' it by continually redrawing sectors as it will only move along and never end. If your doors won't work, disable Lower Unpegged to see if that will help. Certain doors (w/ no sector adjacent on the short sides) appear to mess up and not open on the Jaguar if they're ticked. Try to delete and redraw the door sector as well, double checking you have the correct function enabled. If getting the "SpawnMapThing: Unknown type 51" error during the demo screen in PT, check the latest part of the map carefully for even a single Linedef that's out of place by touching a sector (where the line isn't part of sector. This happened to me in part of a map and it was tiny, seemed insignificant and I barely found it. After removing it PT ran like a champ. Also, don't fret about REJECT ending with 1 or 3 bytes needing to be padded. Also had that on the successful build after removing the Linedef. "SpawnMapThing: Unknown type 12" is either overlapping Things or a Thing outside a sector. DEBUNKED MYTH: Picking up too many rockets, ie, the ones in the "refill" secret rooms at the beginning will crash the next level as it loads. May also be tight placement of more than one box of rockets causing this. Best solution is to make only one box and the rest to be other ammo or non-countable items. Too many enemies clustered into a small area. It'll cause the level to fail to load in a 12 map rom after completing the one before it. Delete a few. Fake walls. The kind that show a sidedef texture of a wall from one side but not the other and that can be walked through. Some maps use these to trick the player but once hacked the Jag version has them completely missing as if they weren't there at all in the 1st place. Jag can't do "W1 Teleport" for monsters or "W1 Teleport (monsters only)". Has to be W2 for player only. If next map's address starts between 191418 - 1936FC, it may have a culmination of too many Things, Sidedefs, etc. When testing, my map w/ next start address of 191418 worked but the previous attempt's address of 1936FC failed. Had to delete a lot of Things, etc and reduce Sidedefs where possible to make it fit. *Will test more by adding items to increase the address for a more exact number. 2x 1 Player Starts on the map (sometimes accidentally caused when testing). Gives error "SpawnMapThing: UnkNown type 64" in PT when it's trying to load the demo. Letters/#s drawn on floor and/or with the height raised. Slows down the Jag/PT too much and causes errors when loading the game or starting a game. Sometimes demo mode crashes too and have to start a game before the demo loads but isn't a good build like this. Floor Action 119 "W1 Floor Raise to Next Higher Floor", Use "22 W1 Floor Raise to Next Higher Floor (changes texture)" instead. 1,2,3,4,5,(there is no 6),7,8,9,12,13,14,(there is no 15),16 in Special work. 10,11,17 don't work. A ceiling height of more than 512 will cause the jellybean bug which is multicoloured corruption in the wall texture. Large areas with lots of different angled walls. This increases SSECTORS and Vertices which in turn, apparently screw up the overall map and continued use make the map impossible to load correctly in PT later on. SOME are fine but too much will kill the map. See Grid View in "List of what works" above. Door frames that match the surrounding walls' textures. Can/will cause the HoM effect. Adjust the door frames/ceiling/roof to SHAWN2 (for sides) and Ceiling/Floor to FLAT23 (or comparable) to remove it. Doors to rooms at the very side of stairs. PT/Jaguar will crash when opening them. A lift that starts at the highest position to move DOWN 1st. Use a Floor function instead. Five 64x64 secret rooms at the bottom of stairs in a circular pattern leading back to where you started. Had this at the very beginning of map 2 and it caused crashes in PT just opening the doors in succession as well as errors/crashes throught the rest of the map and a teleport wouldn't work at all later on. I put all the weapons in the 5 secret rooms into one larger secret room and moved it away from the stairs that were originally touching the edge of the sector for the room and it worked like a charm w/ no more errors in the map and the teleport worked as well. The results at the end are so satisfying that words can't express it. Then, flashing it to a Skunkboard for a test on real hardware or playing on PT. Pure Jag Doom bliss! Need each map folder with only MAP0?.WAD inside, copied to flash USB. Export each to individual map folder as usual. 2.) Run MAPCOMP.BAT to make .LZZ files. 3c.) Input padding amount in CMAP CALCULATOR in "Comp.-PADDING" column. (renamed for distinction) and quick save each tab. 4.) Open the padded .LZZ files in F.A.S.T., re-order them and save all as MAPS JOINED. Don't mess with changing the 1st character or each map type in the right column! 7.) Insert modified JAGDOOM.WAD into original DOOM.rom as usual. 1st: If a level in the big hack rom crashes, double check it for too many heavy weight functions like floors raising or lowering via trigger. floor functions always choke the Jaguar and too many can crash it) Also, the 'pistons' that move up and down, depending on size, can crash the level at load as well. -MYTH FROM Suspicion: Acquiring too many backpacks (and subsequently weapons?) can cause the MALLOCFAILED error 5 or 6 maps in. The maps won't load but using the weapons cheat works. -MYTH FROM Suspicion: Exiting then starting the next level too fast can cause the next level to crash during loading. If testing transition from one level to the next, exit, wait a few seconds and press B again to start the next one. 2nd: if a level crashes, go back over it's data input carefully and look for any mistake (usually a 4 & A or B & 8 switched) and after correcting it, re-input the entire map's data. Not the entire SET of maps just the one(s) with the mistake. The entire data includes the addresses and sizes. For some reason fixing just the single character mistakes doesn't work or doesn't always work. No sense NOT re-inputting it all if you're already in there. 3rd: re-F.A.S.T. the offending map and re-enter all in order. 4th: double check all the .LZZ files w/ 010 Editor and make sure all have the required padding. Then re-F.A.S.T. the map and re-insert all. can start with no files. know when you've got this far. Here are the contents to paste. Save as MAPCOMP18.BAT and copy to C:/0 along with DOOMLZ77.EXE per the setup instructions. Attached is also an 18 map Excel file for inputting address and size data. The attached is in OpenOffice .ods format but is interchangeable with M$ Office..
You'll have to switch from OpenGL to Software Mode to 'fix' the renderer. Congratulations on getting this done, thought it reads like some alien language to me. That's great. If I had the time, I'd learn this stuff but I just don't have the time to do it. I know what you mean. I was lucky enough to have a lot of free time on my hands at work at one point so was able to get into it. Took off from there and became highly addictive working on these. Thought about taking a break for a while but found myself already searching out new maps to work on. Great stuff!